Under the theme “Generating Global Growth,” Gulfood 2011 will take place, and which will be held in Dubai from February 27 to March 2. 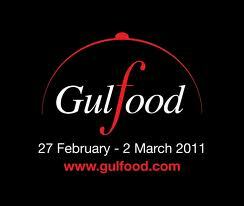 This fair is one of the most important food, drink and hospitality market worldwide. Gathers together some 3,800 exhibitors in 81 international pavilions and welcomes more than 55,000 buyers from 152 countries. Prunesco is participating one more time in this event, and will represent Chile in its pavilion, along with other Chilean brands, displaying the overall range of products sold in the international market. You may find Prunesco in the Food & Drink Sector. Hall: 3F, Stand A3-32.